We are wired to find faces. Whether they are imaginary and found in a piece of toast, or real and driving web clicks, our brains snap to faces. 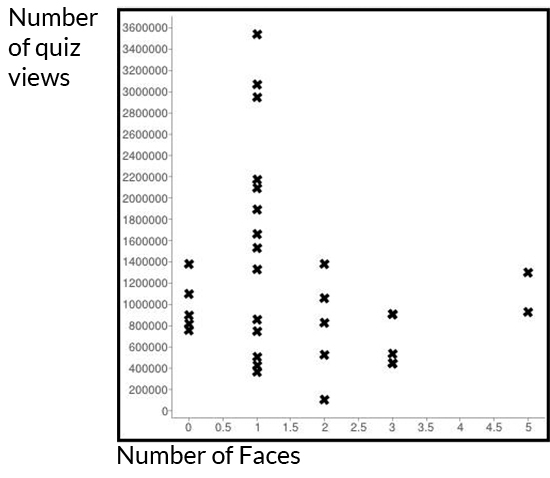 I got to wondering how faces affect click-throughs on online quizzes, so after some work in excel (ugh), a few very interesting things came to light. With any multivariable test, you want to test one variable while holding all others constant. While that’s nearly impossible with quizzes, I was able to isolate one element that connects faces to clicks. That thing is the thumbnail photo that shows up right next to the quiz headline in search results and on social shares. I further isolated the study to focus only on Buzzfeed quizzes, looking at 31 different quizzes that have been created this year by Buzzfeed staff. I also only looked at quizzes that are listed on Buzzfeed.com/quiz, which are the quizzes that have performed best. Without further ado, here is a scatterplot of what happened. Images make a difference. A thumbnail image with a face performs significantly better than those without. When the famous grilled cheese face was sold on ebay for $28,000, the New York Times investigated why we are so drawn to look at faces. They found that the brain will pick out faces based on our neural architecture as a way to survive. We detect faces even when they are blurry or just random blobs because our brains are wired to. That’s why having a face next to a quiz headline drives more people to click on the quiz. 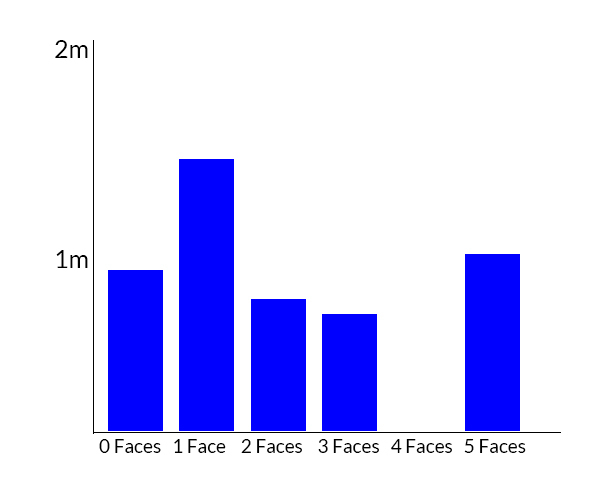 One is the magic number: The average number of page views for a quiz with one face in the thumbnail was 1,652,718 which sticks out like a sore thumb against the other numbers of faces in our test. There is a super interesting article about what happens to our brains when we multi-task, it boils down to this: our brains can’t multi-task at all. When we are presented with more than one face in a thumbnail image, we can only focus on one at a time, and the others become noise. However, because we are human and naturally find faces, we scan the image without ever focusing on one of the faces, causing us to be more likely to look away without ever clicking. 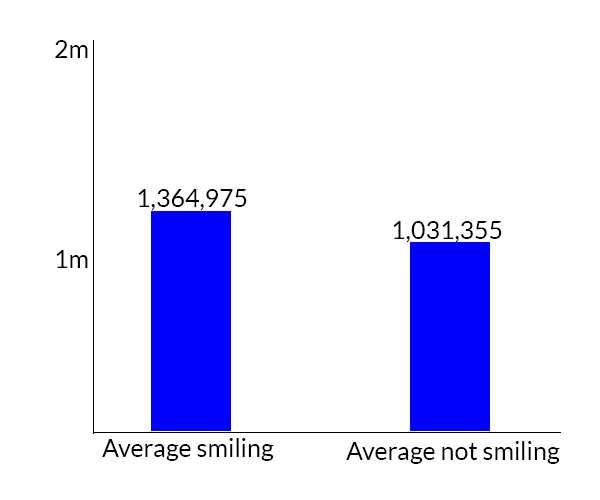 Do smiles matter? Yes they do. The smile is “the symbol that was rated with the highest positive emotional content” according to a survey by Andrew Newberg. Smiles are positive, and they make us feel good. Everyone likes to feel good. Smiling can reduce stress, and make you feel rested, when we look at pictures of people smiling, the positive energy transfers to us and we also feel good. What about gender? Simply put, pictures of women get clicked on more than pictures of men. 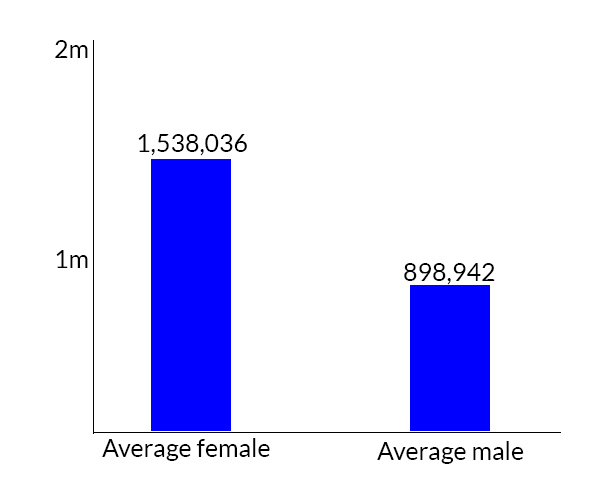 Several studies have been done to determine why photos of women get clicked on more than men, and it seems to be a pretty universal result. Our brains work like the focus on a cell phone camera, but one that can only find a single face at a time. We are wired to find faces, but are limited in our ability to comprehend more than one at once. The magic number of faces to show is just one.